Shimmer and shine for a steal with Sirio Metallics. 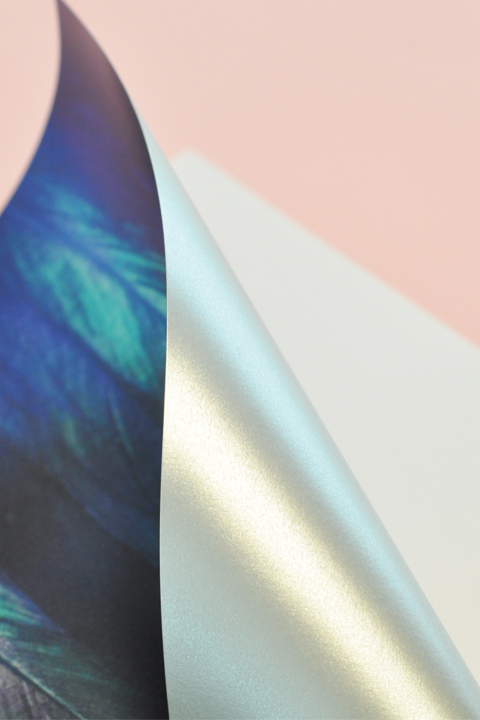 An affordable range of metallic papers in neutral tones, they give you the flexibility to specify and print any colour you choose without the expense or ordering coloured metallic papers. They're also made from ECF pulp and are FSC® Mix certified. Sirio Pearl can be printed via offset (single or 4-colour process), thermographic and screen printing processes. Sirio Pearl is laser guaranteed in 125gsm. Sirio Pearl can be blind embossed and hot-foil stamped. The surface of Sirio Pearl is non-porous. Fully oxidising or UV-dried inks are recommended. Total ink density can not be more than 280%. Drying times depend on the quantity of ink and process variables and may vary. Paper can be handled 24 hours after printing, provided oxidizing inks are used. Complete drying will occur within the following 24-48 hours. Excellent results are obtained with Under Colour Removal (UCR) and Grey Component Replacement (GCR) grading to reduce the mass of ink deposited on the paper. Once dry, the anchorage of the ink is very good. Anti-setoff spray is advisable with high granulometry. A sealing varnish in-line is not recommended as it will increase the total ink coverage. An aqueous varnish on the printing is preferred. All statements, technical information and recommendation are based on tests we believe to be reliable, but the accuracy or completeness thereof is not guaranteed, and the following is made in lieu of all warranties of merchantability and fitness for the purpose: Sellers and manufacturer’s only obligation shall be to replace such quantity of the product proved to be defective. Before using, user shall determine the suitability of the product for its intended use, and user assumes all risk and liability whatsoever in connection therewith. Internationally as per France government decree 631, 1992 valid in France and internationally.